Written by Ismail Hasan (United Kingdom), winner of the 7th Edition of Tozando’s “Win a Trip to Japan” Experience. It was very early in the morning and news doesn’t get much better than that. 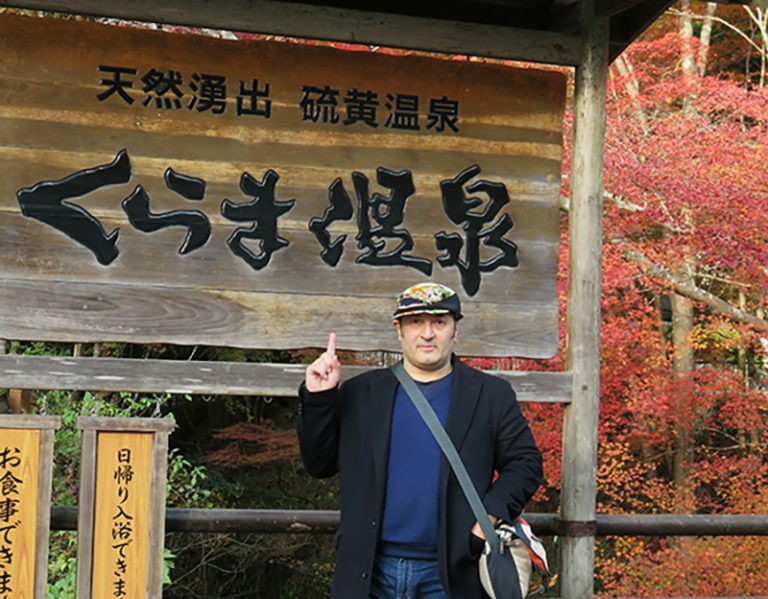 Going to Japan has been a dream I have held for a long time, mainly because of my involvement in Aikido and Iaido, together with a healthy liking of Japanese culture in general. My wish for visiting this fascinating country has finally come true. 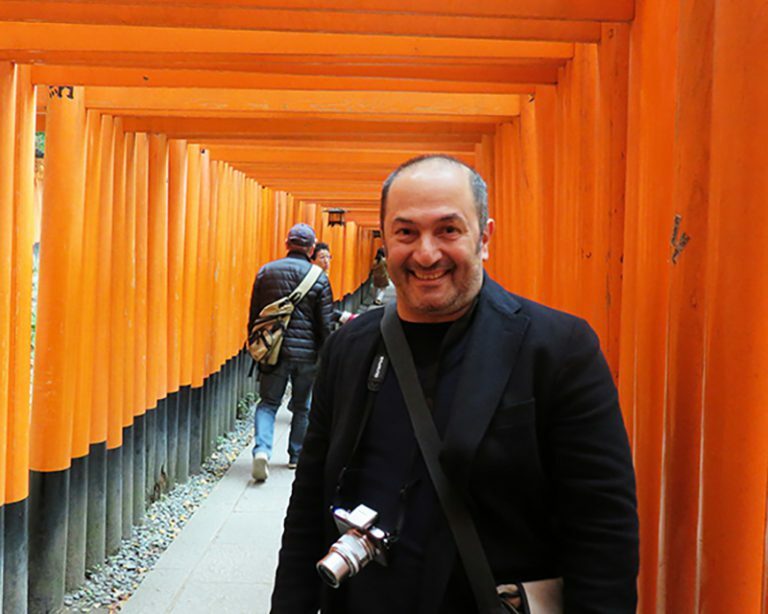 At first I was a bit anxious about the trip, being the first time in Japan, but regular emails from Yu Bo, from the Tozando International Sales Team, ensured that all the details were in place to make the trip smooth as well as memorable. 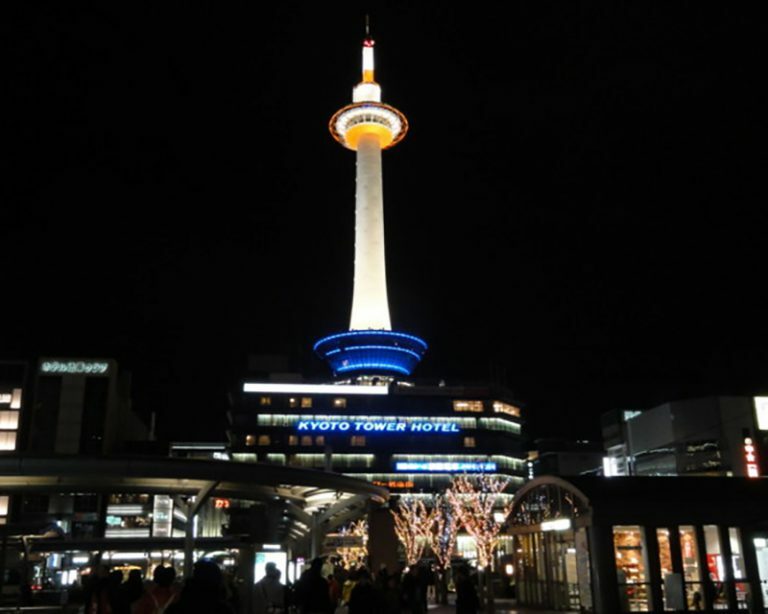 After a very long flight to Osaka from London I took the airport express bus to Kyoto, where I finally met Yu Bo, who came to pick me up at the Kyoto Station. It was late in the evening on the 17th, in fact, it was already around 22.00 when I arrived, so the first objective was to get to the hotel to rest before meeting up with Yu Bo again the following morning. I knew this was going to be a special trip when I met up with Yu Bo and headed out to the bus stop in the northern part of the city the following morning. There is a sense of incredible peace or calm, a serenity to Kyoto. 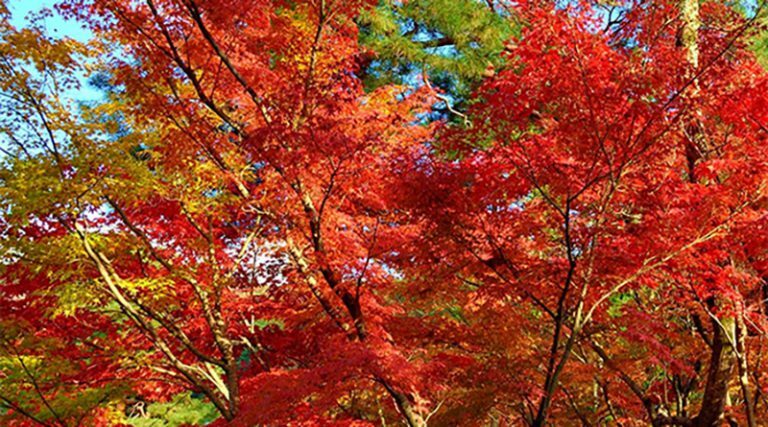 The maple trees were rich in autumn colours with many reds and yellows, with the mountains in the background, together with its beauty and pleasant people Kyoto is a stunning city. As I was told before setting out on this trip, my timing couldn’t have been better since I understand that this is a special season in Japan. Seeing this alone was worth the trip. First port of call was to meet the guys at the beautiful Tozando Nishijin office. I was received by Yamamoto-san the general manager, Sato-san and Nurlin-san from the International Sales Team. Everyone was so friendly and polite and a pleasure to meet. 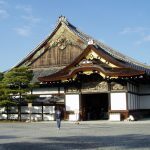 I asked about visiting the various temples, shrines and castles as well as shopping. We then headed off to enjoy some first class Sushi and Udon for lunch, followed by a visit to Fushimi Inari Taisha, a beautiful Shinto shrine at the Inari mountains. 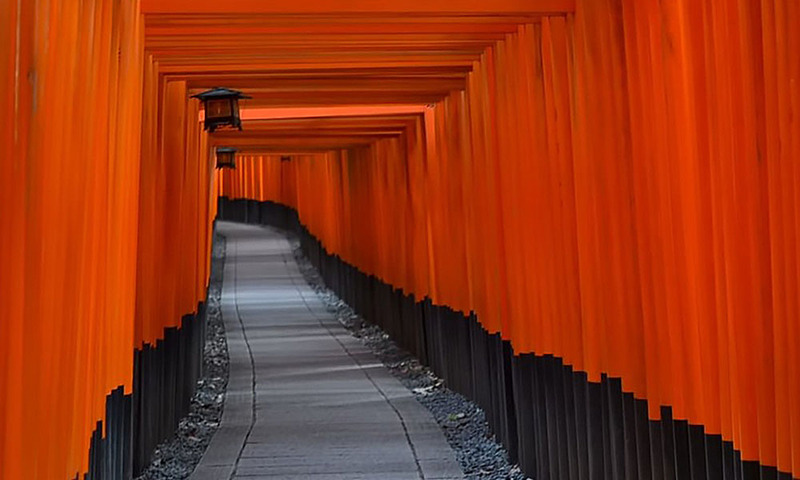 The colours there are quite incredible with the endless columns of orange coloured Tori climbing up the mountain path. 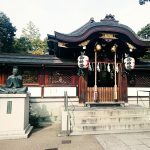 The next few days followed with trips to the Nijo castle, Gion the entertainment district and a must see visit to Kiyomizudera and Yasaka Shrine, where we even managed to catch a glimpse a traditional Shinto wedding. The gardens in the Ginkakuji temple were simply stunning. Deliberate, but natural with the influence of Zen culture very visible. Throughout the trip the sense of tranquility was everywhere. A stark contrast to the dynamics of London. 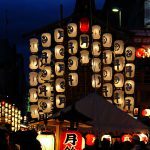 It is difficult to go wrong in Kyoto. Getting around is easy, particularly with a good transport system and good, clear instructions from Yu Bo. The shops were wonderful and a must see part of modern Japan. Quality goods and food with polite and friendly service. This was most noticeable in Nishiki market where thousands of people would buy fresh produce, teas, pickles, vegetables and fish everyday. Well there, we went to ‘Aritsugu‘ the internationally renowned knife shop in the market area. I love to cook, so a genuine Japanese kitchen knife that is made by smiths was on my purchase list, and it was definitely worth a visit. I had hoped to visit a sword smith as well, and Yu Bo had told me that they could introduce me to some sword smiths in Nara prefecture, but time and scheduling did not allow for this in the end. But it’s something for another visit I am sure. Finally on Friday morning we headed off to Kurama mountain and it’s hot springs which was a wonderful train journey north of the city and through the mountains. It was a fantastic experience and good for the body and soul after the jet lag and long flight earlier in the week. 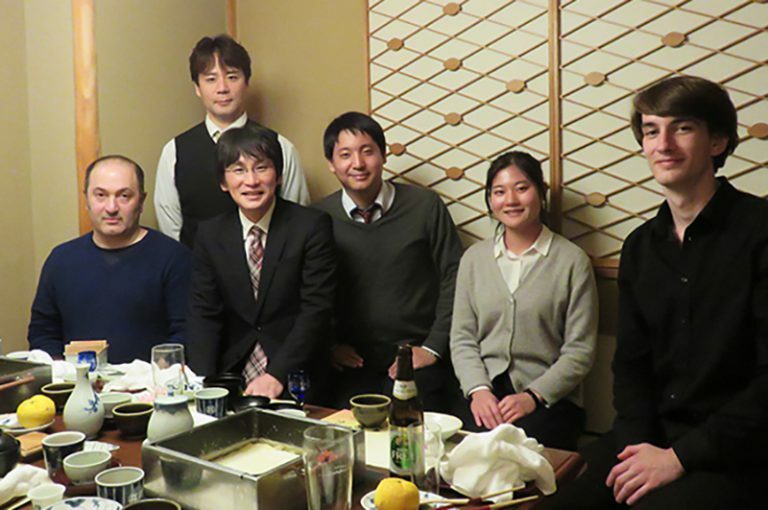 Later that evening we went to a traditional Kaiseki restaurant where we are joined by the other Tozando International Team members and also Yamamoto-san for dinner. To sum it up, good company, good conversation and excellent food! 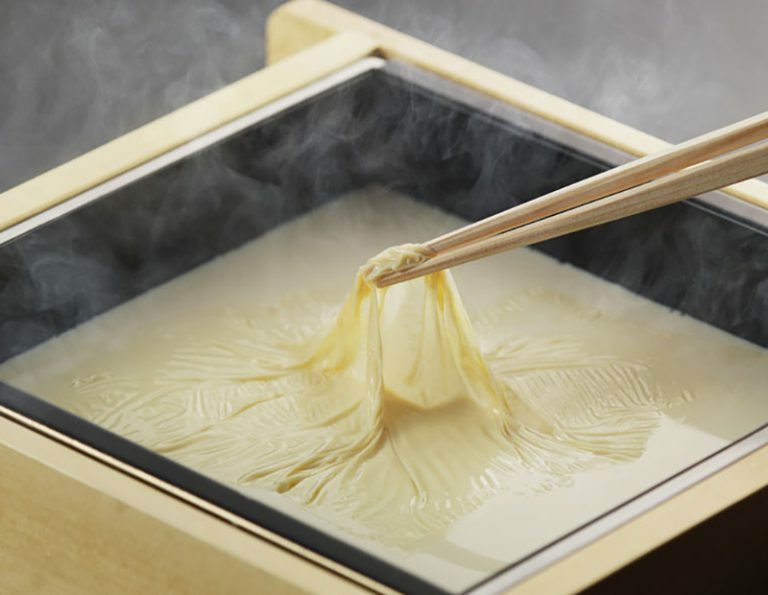 The cuisine was a specialty of Kyoto with the tofu dish called Yuba or tofu skin. It was fantastic and something not available in London to my knowledge. On Saturday the 22nd, I ended the trip with a purchase of training Gi/Hakama at the Tozando Shogoin store to take home. It was brilliant to see all the equipment – Iaito, Bokken and Jo that I order online presented in the shop and also Haruko-san from the Shogoin store staff graciously provided me with a lot of information for future purchases for the Dojo. Lastly, a really big thank you to all the people who made this happen. To Tozando, the international team and a particularly big thank you to Yu Bo who was ever helpful, friendly, patient and good company throughout my trip. I hope to visit again in the near future and of course the team are always welcome to London! PREVIOUS POST Previous post: What is Mosen?